i’ve lived in seattle for 9 years. before that, i lived an hour and half north of here, and when i came to seattle, one of my favourite places to meander was the market. even now, as a local, it never seems cliche’ to me to go there to connect to my city. i never get tired of wandering there. poking through new corners. going a little further than i went last time. a new goal has been to document some seattle fashion. 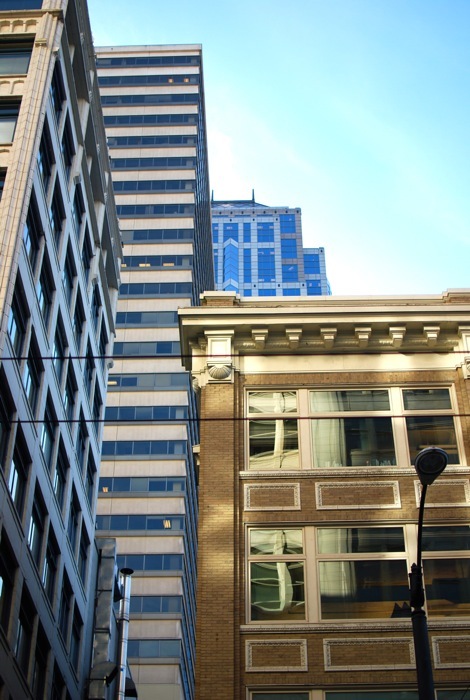 seattle is a land of individualists. people who don’t conform to the rules of other cities. it’s a joke that we wear fleeces and socks with sandals, and i won’t even argue with you, i own more fleece than i did when i lived in arizona. and my tevas are beloved, although i would sooner set fire to hair than wear them with socks. but i get it. i want just a little bit of what my city looks like here. from the man selling produce with the wicked style, to the girls walking around in herds starting the new grunge. i love living here, and i’ve always loved people watching. this is my way to connect to where i live and be inspired. absence makes the heart grow… oh, you know. so… i took another break. and i have to say my mind has been abuzz with all the could, should and going to. 774 pictures, 27 business cards, 3 flights and several wanders later, i’m back from the outdoor retailer trade show in salt lake city and have so much to do. i did manage to snap a few pictures of some stylish people. the vast bulk of my pictures are going to be compiled into a trend report (there actually was some *very* cool stuff i saw). i found several bags that will be mine (osprey, ellington and dakine, next year’s model… boo). amazing friends who pitched in last minute- served and checked- i owe you major, and i know it. boconcept– great space!! what’s a party without an amazing space to mingle, mix and relax? mike’s hard lemonade– thanks for trying out your product with us! can’t wait for your tweetup! trophy cupcakes– are you kidding me? a 3 week no bread streak was broken. it was worth it. dry soda– my new soft drink of choice, and the best non-alcoholic beverage! special sparkly. qdoba– i loved seeing people at the party eating tacos. it was perfect. hazel salon– the ladies from hazel offered gift cards and samples. thank you! tigerbeat– great tunes make for a great scene. i love this boy’s mixes. gems– offered jelly bellies to our party-goers… sweet! moo cards– i have a promo code for moo if you want free cards… drop me a line. shopruche– a giveaway and a discount. drop me a line for 10% off. 8:00am- express lanes to kent. 9:00 am- the smart juice. 11:00 am- volume measuring spheres. or something technical. i just like to stick my hand in the bin. they use them to measure how much a pack can hold. cool nerdy stuff. 12:00 pm- i have a very vivid imagination, AND i saw mannequin. this is a family who are plotting their revenge because they were left arm and clothes-less. 1:00 pm- sparkly bike bits. 2:00 pm- no one gets excited about a camera in their face. not even birdie. 3:00 pm- a bit of sun sparkles through my outfit. 4:00 pm- i try to relax a little with some soft light… and day of the dead peeps. 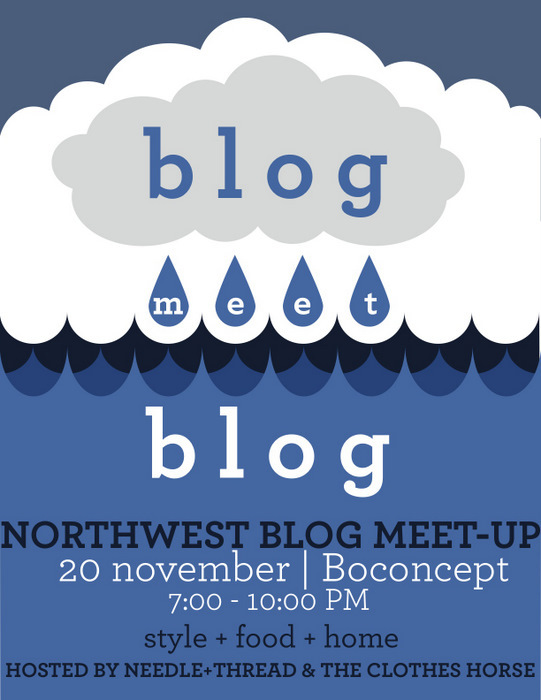 6:00 pm- i head out to blogmeetblog- excited, nervous and ready! we’ve been working over the last couple of weeks to make this blogger event something special. we’re so excited to meet everyone! boconcept– wouldn’t be a party without an awesome party space. boconcept is also sponsoring some giveaways! sweet! Qdoba– will be providing food for us! a full taco bar- be sure to visit their Facebook fan page. trophy cupcakes– a little bite of sweetness, trophy is bringing 140 mini cupcakes! Dry Soda- a little sweet, a little bubbly… the perfect party drink! SPUN- a giveaway for the bloggers! $200 in SPUN clothing. hazel salon & organics– free organic samples from chi and pearatin, 2 $50 gift certificates for amazing salon services! value village– 2 $20 gift cerificates for 2 lucky bloggers! 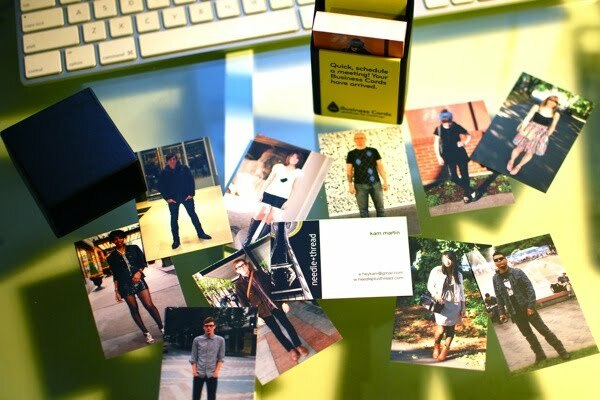 moo cards– moo is giving several lucky bloggers free cards. we love moo, and we LOVE free! modcloth– sponsored giveaway from modcloth. if you haven’t see their cool clothes, check them out here. shop ruche– sponsored giveaway- see their great vintage inspired clothes/accessories here. cs management– hired our very awesome DJ- tigerbeat. nothing makes a good party like great music! yiu design and cylinder studio– help with the promo and website- thanks guys! a small list of some of the 100 blogs who have rsvp’d! the clothes horse – our co-host for the event, rebecca has an amazing blog chronicling her style and inspiration. urban fashion network – tarah and youa do a great job of giving you the low-down on local fashion events, and sponsoring local designers. darrah’s dresser – another seattle fashion blogger, darrah’s honest run-down of events and fashion is a can’t miss. sydney loves fashion – local fashion insider sydney- shops, culls and finds all the great, making your job easy when you need to know where to get what. jaunty magpie – get inspired for that next fashion purchase, the magpie puts together imagination, style and great finds. plus: alix rose, emerald dandy, fashion for nerds, the midnight cook and so many more! we can’t wait to see everyone this friday! you may remember that we were pretty broken hearted when our friend mura passed away. and slowly, we’ve mended, remembered, and laughed about the crazy quirks of our old pet. she even has a small memorial at our family wall… but we were ready to find another pet, love a new dog, and fill the corners of our house with hair, dog toys and paraphenalia that denotes… a dog lives here (bones squirreled away in our living room!). which reminds me that whether it’s a big party or not… make sure to get your yearly exam. early detection saves lives. i just went, got it over with. and there’s nothing like the relief of hearing that doctor say… see you in year. my doctor even has fish, which is in no way like valium… but still pretty to look at. i remember the first person who handed me a moo card. it was at ballard artwalk about 3 years ago… and when i turned over this wee rectangle, there on the back, was his art. i loved it. i kept it. i still have it. let’s not digress into my hoarding… moo cards. since then, countless people have handed over these little physical representations of themselves, and i have to say, they give new meaning to the somewhat staid idea of ‘business card’. i’ve never personally liked having business cards, but when these showed up, with all (ok, not quite all) my favourite pictures on the back… i kind of squealed. want one? Why is it that European fashion is just so darn beautiful? That, I will never know. What I do know is that a simple Seattle girl sure can learn a lot in just a month abroad; about myself, differing norms, and of course fashion. Bold, classic, rich and simple – all qualities I would assign to European style. Effortless, however, is the one qualifier that explains it all. Within days of my arrival in Sweden, I was raving to Kam about the style, so she gave me the go-ahead to gather shots from each city I would be in over the next month and share them as a guest blogger on Needle+Thread. It may sound a stretch, but I could have used people from each street I walked down; although I managed somehow to whittle it down to a simple seven. All different cities. All different looks. I had a great time meeting these folks – each of which, were more than pleased to share their style with a simple girl from Seattle. I hope you enjoy them, the fashion, flair and maybe even incorporate a little into your own wardrobe.